May sometimes be linked with ADHD, Tourette Syndrome, Asperger's Syndrome, or the mental health condition PTSD. OCD is a mental health condition. Mental health conditions are problems with the way you think or feel. Neurological conditions are problems with your brain or nervous system. Neurological conditions can sometimes lead to mental health problems. "Obsessive compulsive disorder (OCD) is an anxiety disorder. It has two main parts: obsessions and complusions. Obsessions are unwelcome thoughts, images, urges, worries or doubts that repeatedly appear in your mind. They can make you feel very anxious (although some people describe it as 'mental discomfort' rather than anxiety). Compulsions are repetitive activities that you do to reduce the anxiety caused by the obsession. It could be something like repeatedly checking a door is locked, repeating a specific phrase in your head or checking how your body feels." The Brain Charity can offer counselling for OCD at our centre in Liverpool. The library at The Brain Charity has a range of resources on OCD and on a wide range of disability-related issues. 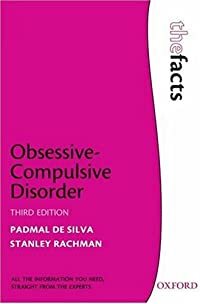 Visit our library to read the book Obsessive Compulsive Disoder: The Facts by Stanley Rachmen and Padmal De Silva. Or have a look in your local library for this book.